shaped like old fashioned milk bottles! 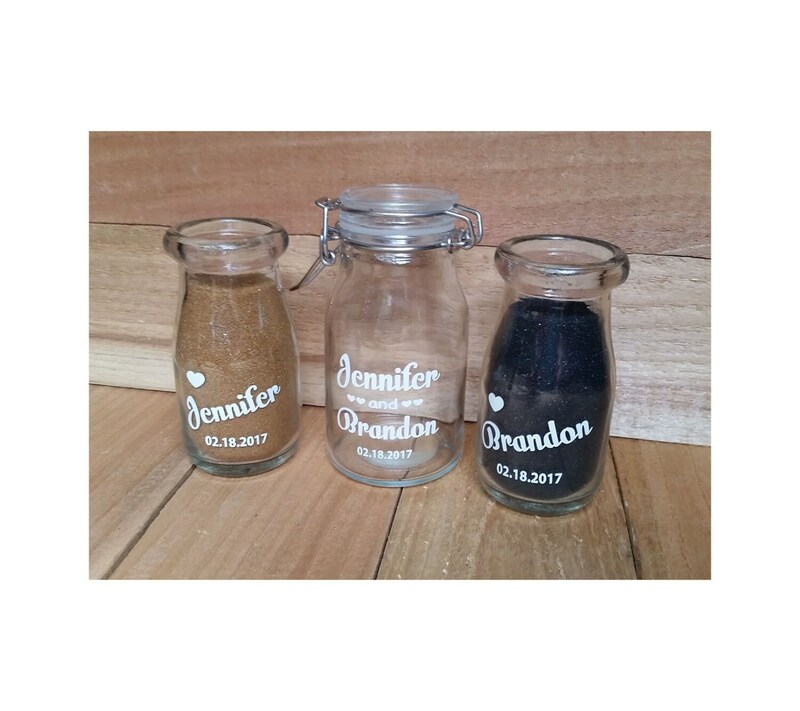 3 Oz Individual Unity Sand Container (2 ea) - Approx. 4" tall, with cork stoppers. 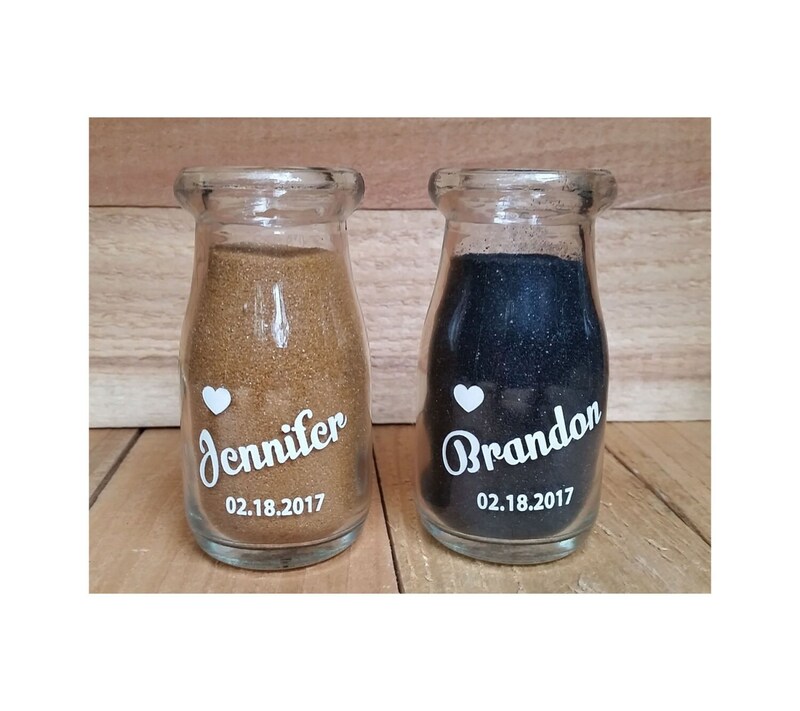 6 Oz Couples Unity Sand Container (1 ea) - Approx. 4.5 inches tall, with locking cover. 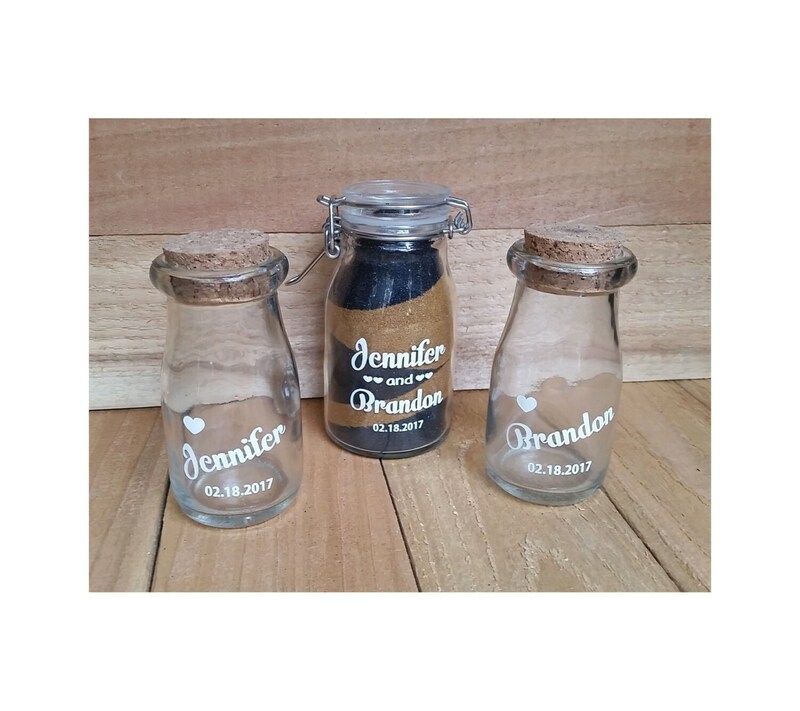 Engraving to your instructions at no additional charge! This is a "Mini" set for those situations where size is an issue. Takes less space for travel. The engraved areas are deep engraved, then the engraved areas are paint filled. 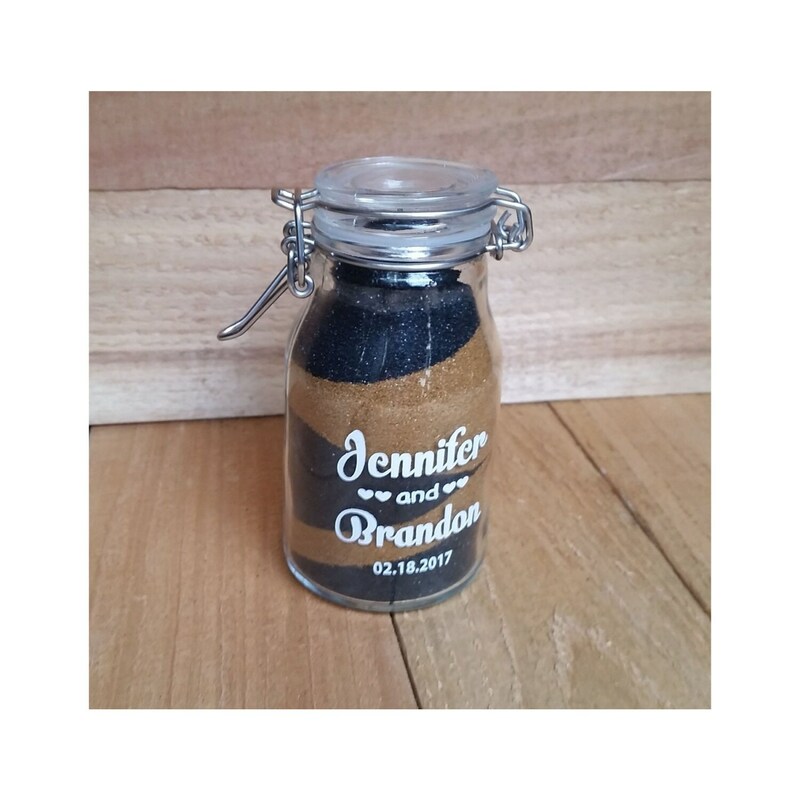 WHITE PAINT FILLED engraving creates a striking contrast to the colored sand filler. 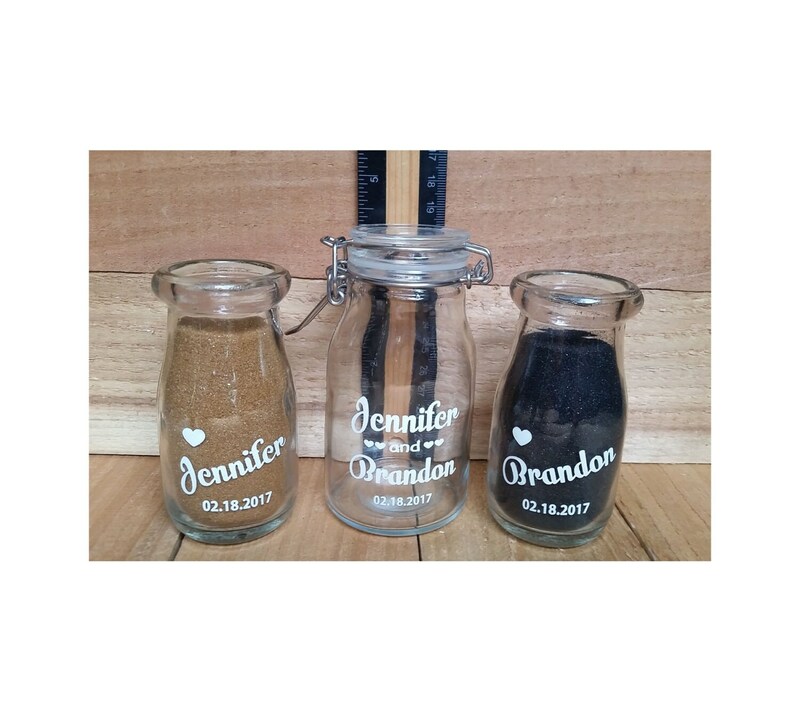 Leave engraving information under "notes" when paying.- or just send a Conversation through Etsy. Check out our other sand unity sets in our NokNoks store.